Welcome to the Deep Bondi group website. We like to think that we are inventors, despite never having completed a project. Each of us has at least one Macintosh computer - Most of us have more. We argue alot about Mac OS X (and everything else). We like spicy food - the spicier the better. They say bachelors should never go to the grocery store on an empty stomach. Boy, are they right. 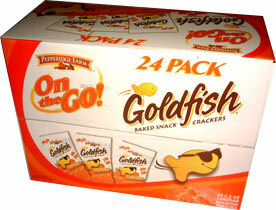 It starts a guy thinking stuff like "Why are there so many doggone kinds of Pepperidge Farm Goldfish?" "Do they really taste that much different?" Then, instead of buying healthy food, a guy might buy one of each and conduct an actual taste test to find the answers. Scientific data and averages on Goldfish, as tested by a panel of all white males*. James: They're great, but you can't eat them against the grain of your tongue. Mike: Are these MRE goldfish or something? Dan: Maybe it's because Scout [Dave's dog] just licked my hand, but these taste pretty good compared to most. Dan: Like a pretzel; they really don't taste like much. James: Just like a pretzel, only different. Muro: Do yours have any flavor? They;re just bread. Dave: What is this bull[dookie]. Dave: What's so F-ing spicy about it? Muro: Fire the guy who came up with these. Dan: Eat more of them... they kinda get spicy. Dan: Bland, but they do come in different shapes. Muro: Why don't they have Mexican Cheese? James: They fly pretty fast when you throw them. Dave: What's up with the F-ing cars? Dave: Hey these are good. I'm surprised they don't taste like [dookie]. Muro: These taste kinda stale. Dan: If they're going to keep making a billion flavors, they should probably not bother with these any more. Muro: Dude, this is spaghetti on a fish; this is the best. Dave: I think I'm gonna be sick. Dan: Wow, these taste like something. Mike: Oh, man, that's good! Dan: Yea, they're crunchy, and big. Pretzels blew. American cheese made me spew and explosive pizza was freakin' good. Overall, this was a lot of fun. I hope our hours of eating and drinking tranya [Mountain Dew] here benefits all cheesy fish entrepreneurs of the world. I know it made me need to take a piss. It's a great idea to power a bunch of salty snacks. These fish go pretty well with Marlboro Lights, but I'm not sure how they're gonna interact with my dookie. Only time will tell. I think the main lesson we can learn from PF is that marketing can make people pay outrageous prices for, what is essentially chee-zits. Xplosive pizza is the greatest! White Cheddar, wow! Original, go figure? Pizza, good flavor. My Overall Goldfish Experience, an essay by James Cook. Overall, I felt that the goldfish made a great excuse to have a game party. The highlight of the survey had to be the 'original' soup crackers - great flavor, great texture - I could eat them for hours. a haiku by James Cook. There were seven judges overall, and we had originally planned to cleanse our palettes with Viral Tranya [Code Red Mountain Dew] but we got impatient the weekend before and drank all the red stuff. We used Mountain Dew [regular Tranya] instead. Considering that we tested eleven different kinds of goldfish while also playing Diablo II, it's amazing no one puked. We'd clear a level of evil demons, then slam 3 or 4 flavors of fishies in about the length of time it takes to smoke a cigarette, which a couple of us were doing as well during the taste test. Maybe that's why the scores seem kinda low. James plans to make a database of all the scores, so people can delve deeper into the trends of goldfish tasteology. You just email him directly if you want it, don't bug me. *Muro is Mexican-American, I think. The official site: http://www.pfgoldfish.com/ has games, the words to the tv and radio jingle, and amazing facts about P.F. Goldfish. The screensaver is Windows-only, so fire up those flame-throwers! Someone rates the jingle on a misheard lyrics website. Tim McSweeny has this interesting tidbit about a kid survey showing that they want to be famous and change the world. The survey was by PFGf's. Nabisco, a competitor of Campbell's/Pepperidge Farm, got sued when it tried to make CatDog snacks for Nickelodeon's cartoon show: Half CatDogs, 1/4 bones, 25% fish. Maybe that's where the SpongeBob SquarePants snacks came from; drums full of contraband cheese-cracker mix that couldn't legally be made into fishies. A bit more about what the big deal was: Trademark Dilution, a crime since 1996. Another. In other government news, the goldfish ran for president last year. Here's a funny spin. Someone is selling beanbag dolls of the fish dressed as the Easter bunny and as a witch. The UPC code for the 15 oz. size of PFGf's is 1410007263. Other specialty cracker UPC's can also be found here, if you care. PFGf hosts a swim. We found better graphics to steal than these guys. Geez! This school is collecting UPCs from Goldfish and other stuff. I think it's funny they're called Glenn Dale. Dale is my brother, Glenn is my middle name. I'm linking directly to their animated gif. They also need help in their student store. Another school wants UPCs too, but their site is much better done. These guys really need the labels... their site blows! Send 'em a doggone Macintosh while you're at it! This lady knows where to buy day-old Gf's cheaper. Wish I woulda known about this sooner! Perhaps the Windows-only screen saver can be explained by inferring from this page. It's a conspiracy, I tell you! Our good buddies in New Jersey, The Gravity, have a song about PFGf's. The link takes you to the lyrics. They're on MP3.com too. Look 'em up, they're good people.